Here's a little sample I made for a character design class I'm teaching. 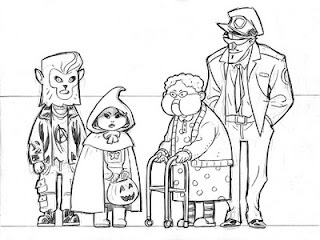 It's a quick and simple cast lineup for a Halloween-themed "Little Red Riding Hood" story, which would explain why our "hunter" and "wolf" characters are essentially cross-dressing. 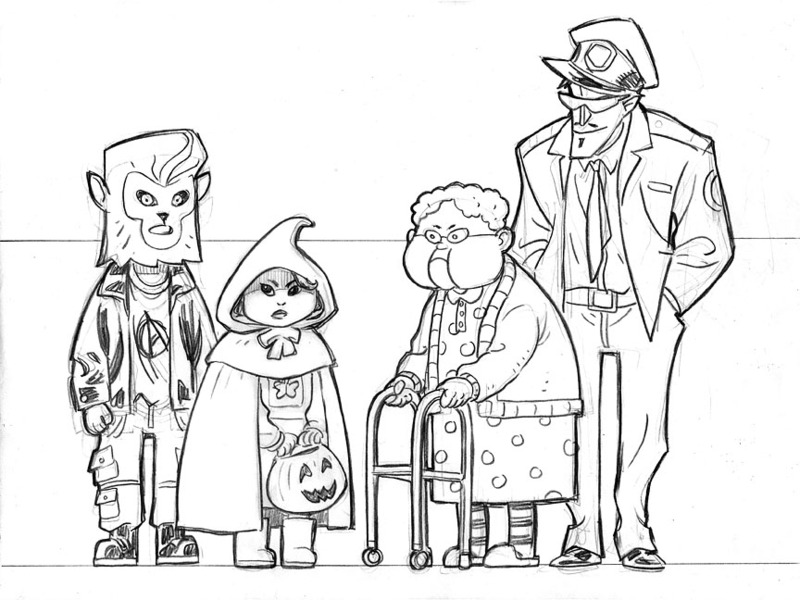 Here's something I whipped up for the Concept Tuesday challenge on Jon Schindehette's ArtOrder blog. 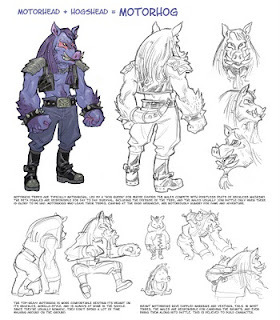 You can check out the other thirty entries on page 1 and page 2 of the ArtOrder blog post. 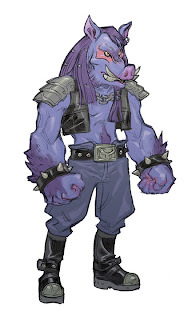 There's actually a whole model sheet for this guy, including a cute baby boar mutant.